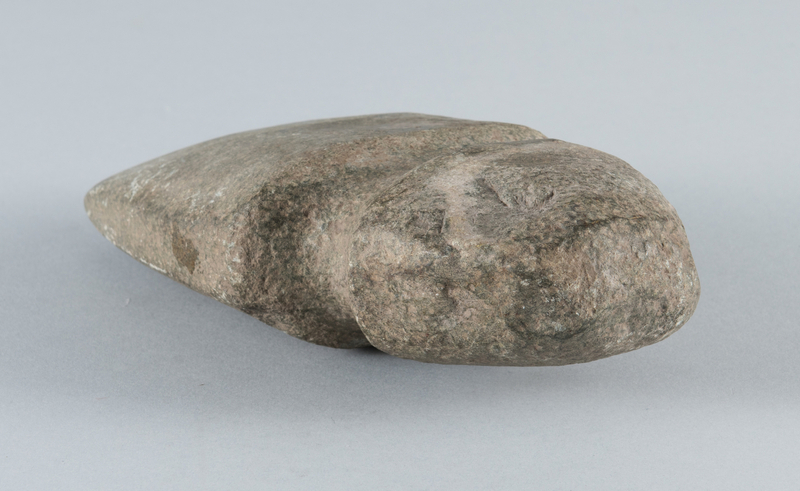 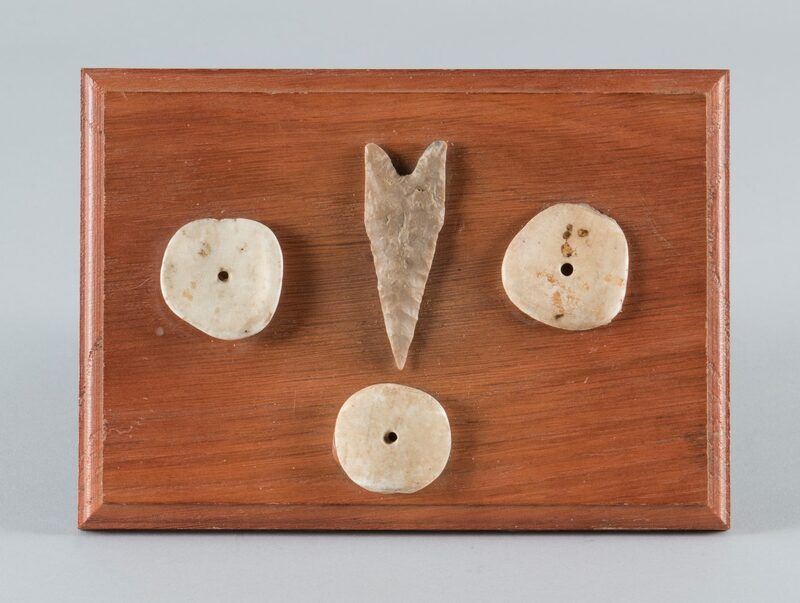 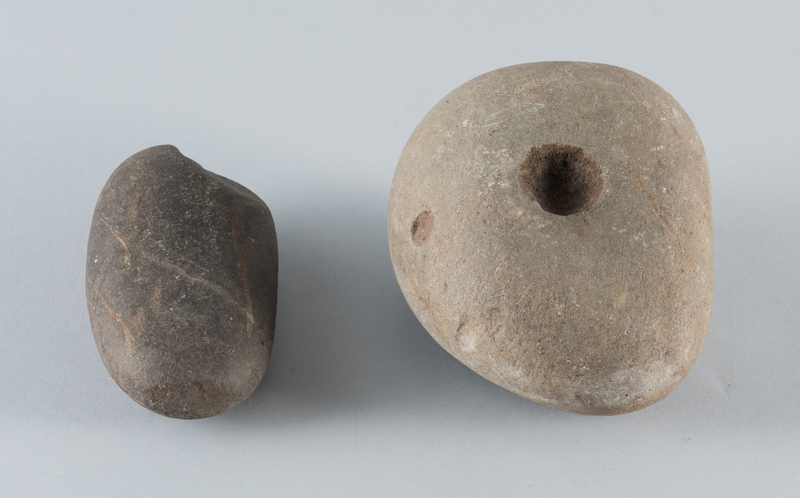 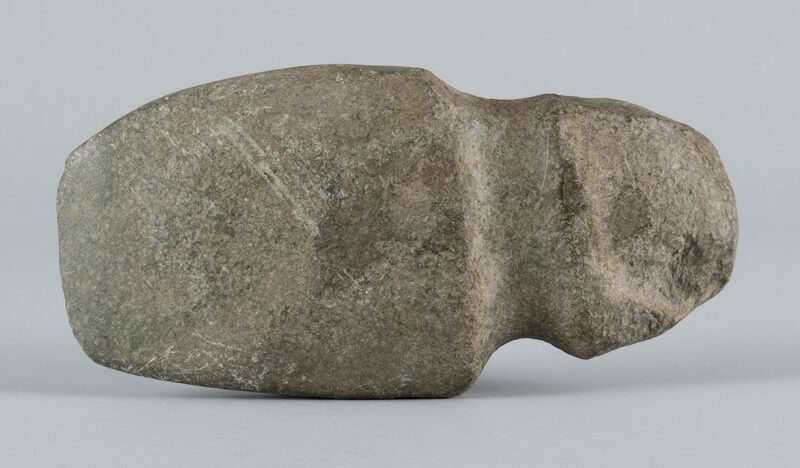 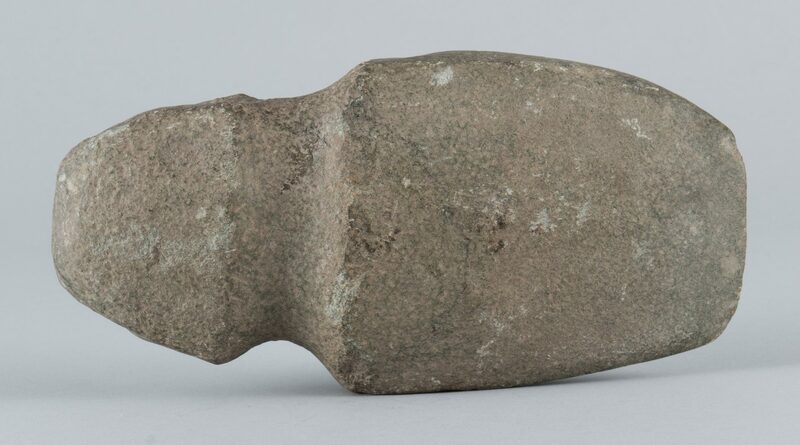 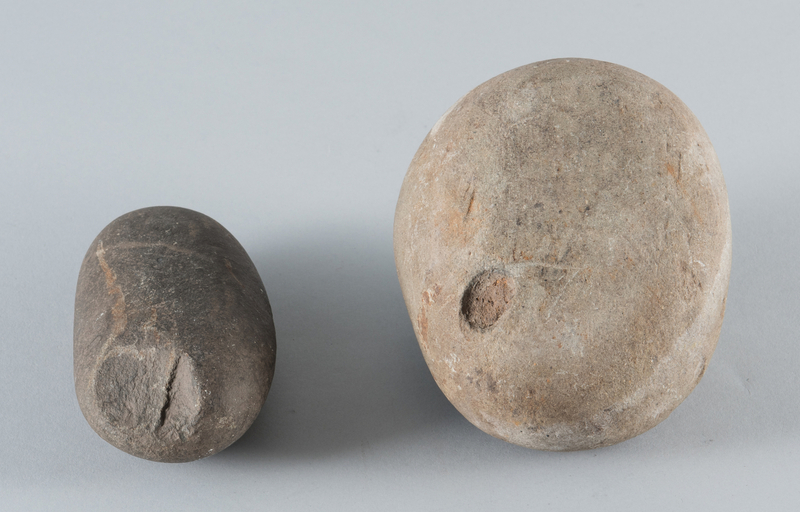 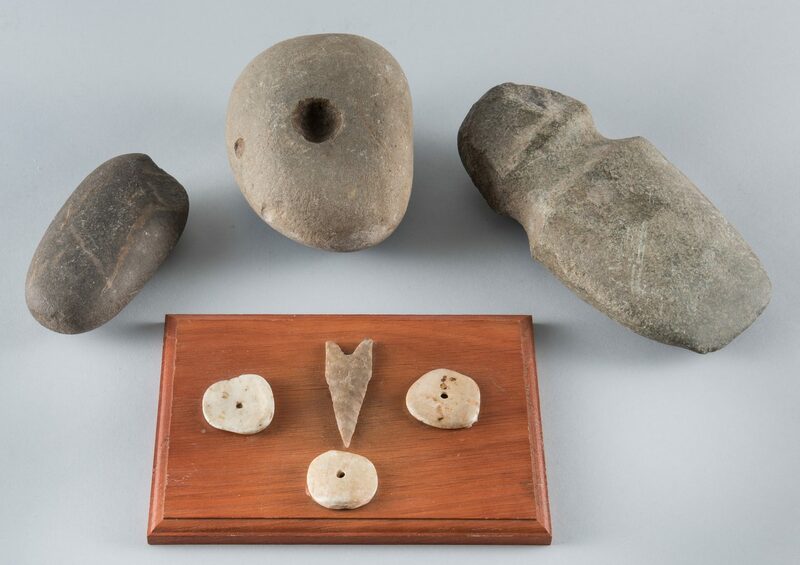 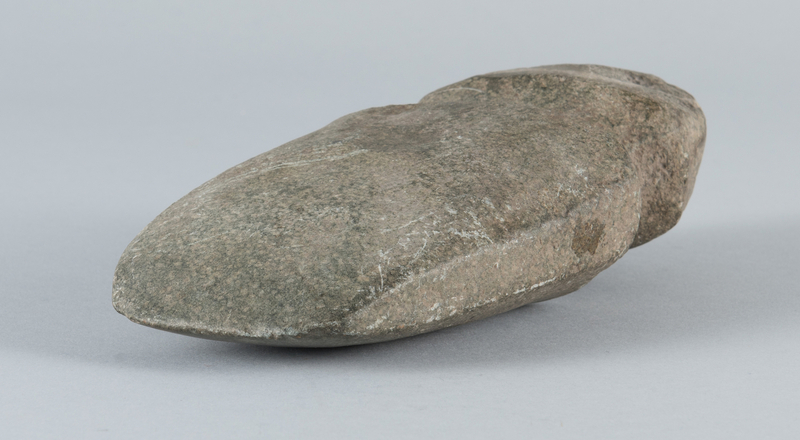 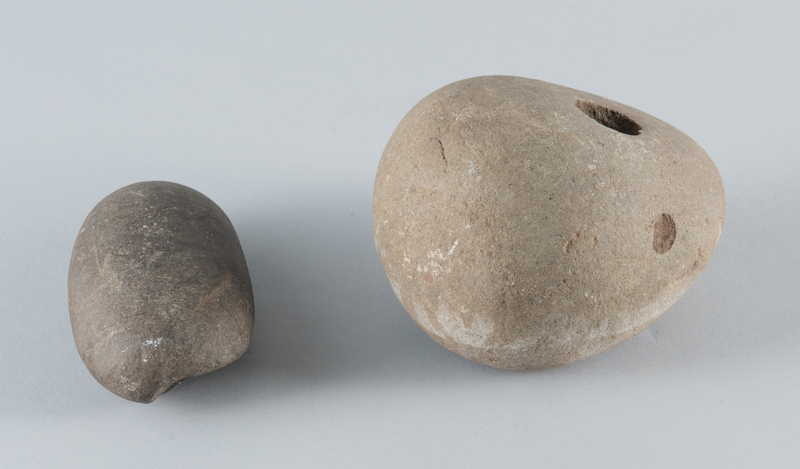 Group of Ancient Native American objects, likely Winnebago, including a polished stone, possible tomahawk stone, 4 3/4"; 3/4 groove stone axe head, 8" L; , a grinding stone 3"H x 5 1/2" W x 4" D; and a 2 3/4" point and three carved bone disc pendants – 1/1/4" to 1 1/2" diameter, mounted as a collection onto a wooden plaque. 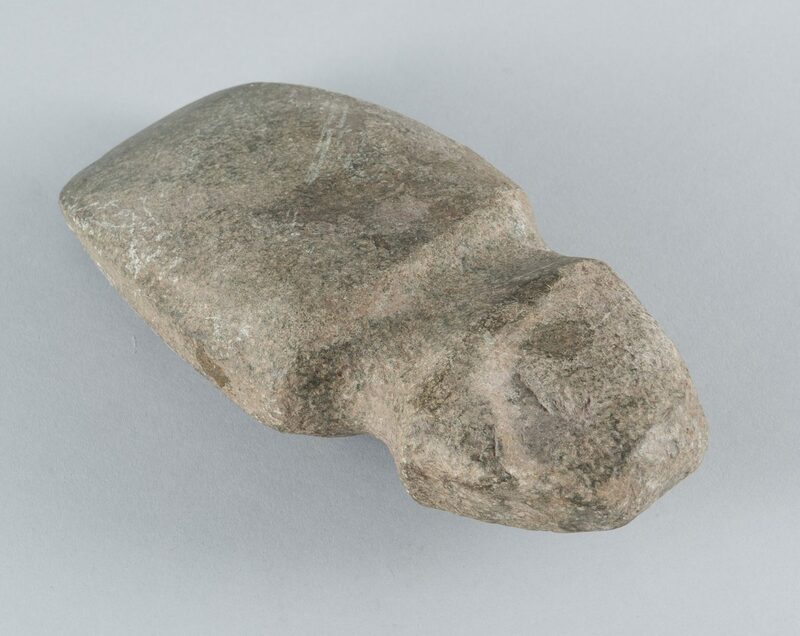 Provenance: Acquired by consignor's father during the 1960s in Minnesota. 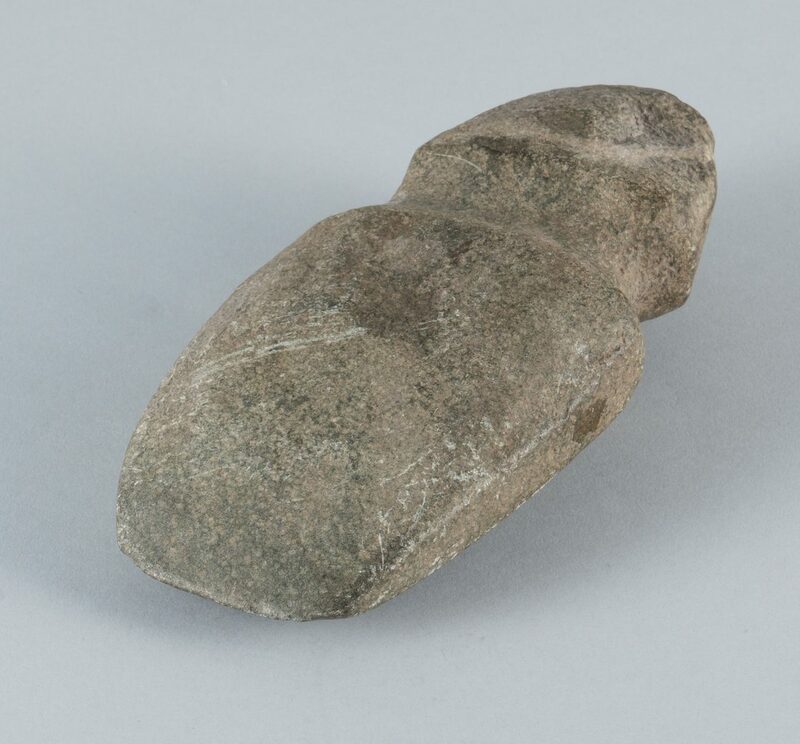 CONDITION: A few natural imperfections, overall good condition.